I need to start with Tuesday morning. For some reason my alarm didn't go off? Who knows why. I awoke at 9:28am needing to be some place by 10am. I did all my morning things and managed to arrive at my destination with about two minutes to spare. I was really happy as my blood sugar was 89. At bedtime it was 119. I'm doing a happy dance. The first time I've had normal readings at both am and pm. And then came the ghosts, the friendly kind of course. I put my computer on hibernate when I went to bed last night. At some point it decided it had been in hibernate long enough, shut itself down, did the latest microsoft updates and at 3:55am I awaken to the sound of my computer turning on. Seriously? If it hadn't been for the glow from my screen, I'd have thought I was dreaming. So, I logged in and shut it down. Fast forward to 9am. I wake up and go to the bathroom. All of the sudden I have the shakes and feel dizzy. For those of you who know I'm dizzy this is different. I make my way back to the bedroom and grab my blood pressure cuff. Need to check it first, could possibly be too low. 106/60 with a pulse rate of 68, pretty normal for me in the morning. Next I pull out the diabetic meter, pop in the lancet, and load up the test strip. Imagine that, my blood sugar is 68. For those who don't know 70-110 is normal. For a diabetic 70-120 is what we shoot for. Below 70 is where you start getting into the low blood sugar issues and passing out. I ate a few dried pineapple pieces I'd had for making trail mix, then began making breakfast. Now having eaten and taken my morning meds I feel much better. Just a little off, but I'm going to be okay. Will be monitoring my blood sugars very carefully today. I do not want them dropping below 70 again. I'd like to think this was just a fluke. Now for those of you who missed the announcement on Monday. 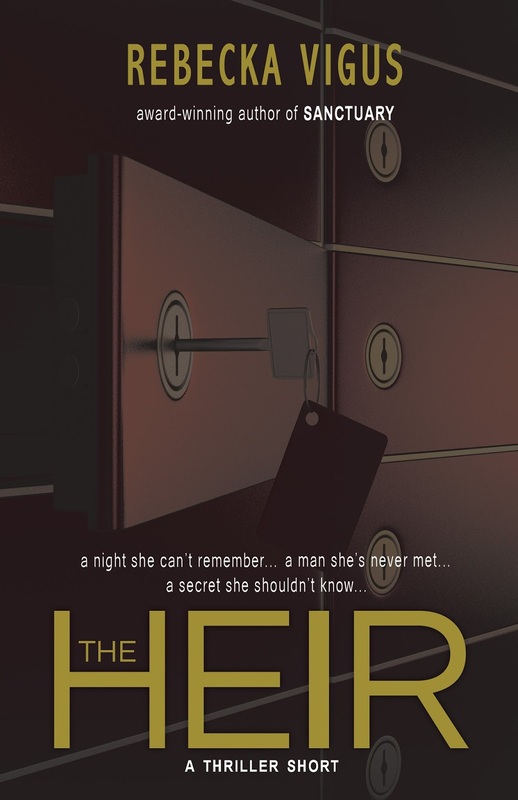 The Heir was released as a 99 cent ebook. 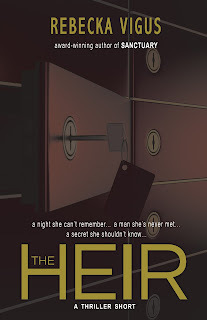 When private investigator Samantha Worth wakes up in jail, she can't remember anything. The only clues are five mysterious items in her pockets. As she begins to piece the events of the night before together, she discovers a man intent on tearing her life apart. Can Samantha stop him before her world changes forever? I'm out of here, wondering what other wacky things the day will bring.